What's included in Gem CRM? Gem CRM allows you to track every touchpoint with candidates, nurture passive talent, and get visibility into your entire talent pipeline. 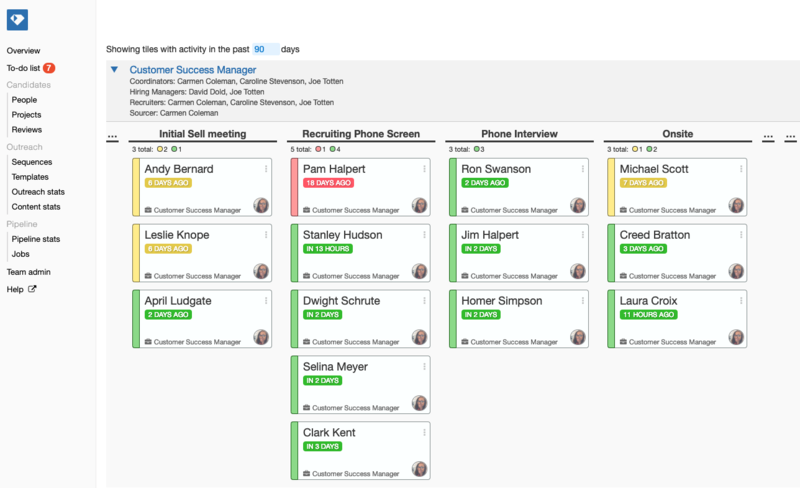 Jobs -- Shows you a Board view of all of your active candidates in process and lets you take common actions on candidates without ever navigating away from the page. 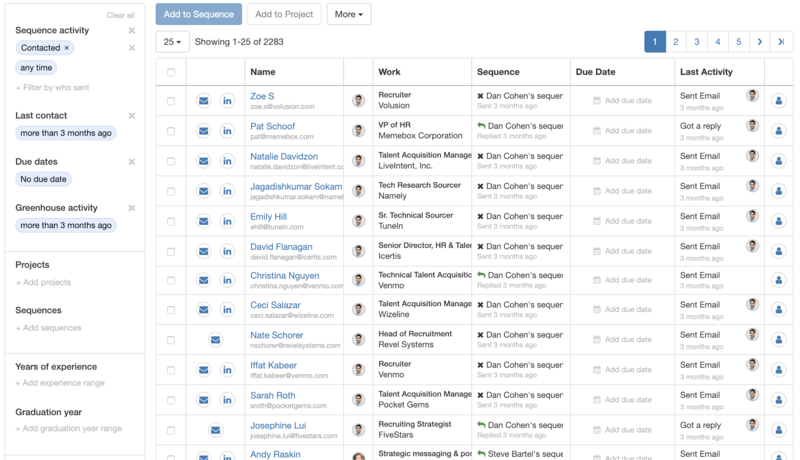 You can leave notes on candidate, add due dates, and change a candidate's Greenhouse stage right from the Gem Sidebar. People -- Helps you to search through any candidate in Gem on almost any attribute and curate lists of people that you can then send Sequences to or add to Gem Projects. 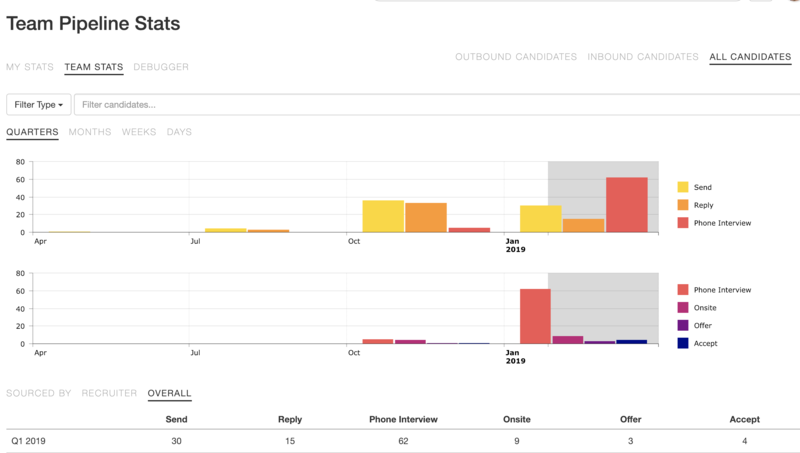 Pipeline Stats -- Gives you visibility into your entire Talent Pipeline at glance from Reach Out to Offer Accept. We take your Gem stages (Send and Reply) and juxtapose them with Greenhouse Stages to give you a full funnel view. Have questions about Gem CRM? Feel free to reach out to the Gem team by emailing us directly at sales@gem.com or press "Chat with Us" in the Gem home page.